4K sets with HDR and robust built-in streaming options are finally sliding into the very affordable range. With picture quality in mind as well as price, we’ve picked out some awesome deals on LED, OLED, QLED, 4K, and Smart TVs. Before you begin looking for a TV, it’s important you know the quick and dirty difference between them all. First, plain LED TVs have the best budget value as well as a nice picture (for the price). For upgraded displays, OLED and QLED have significantly improved pictures with way brighter (and more even) backlighting and color reproduction. Lastly, Smart TVs have robust streaming capabilities and the ability to connect to other devices. 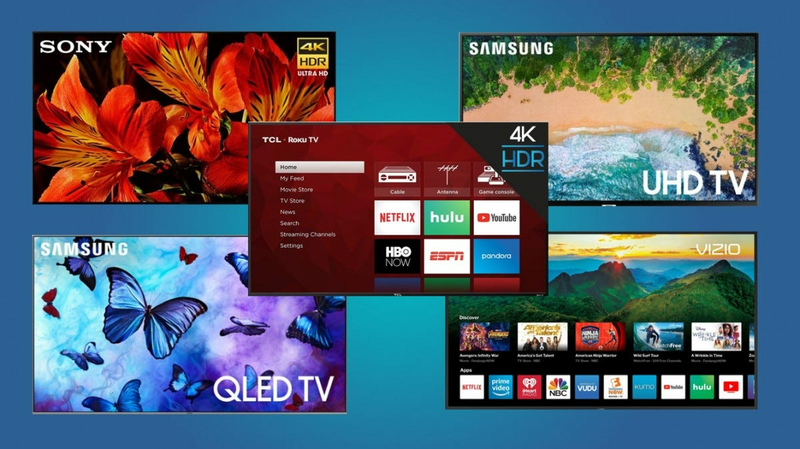 While more and more TV sets offer smart features, be sure to check if that’s something you want as a smart platform isn’t a universal feature. With so many more options than just plain, old high definition pictures, where do you even begin to decide? We’ve divided our picks up into size, so check out our list of best TV deals for Black Friday this year so you can watch those Christmas movies in all their colorful glory.